After a severe storm, you probably have a lot of things on your mind. Cleaning up the damage left behind can be a really big job. If your home was damaged, you have to get a contractor out to repair that damage quickly, and if your vehicles were exposed, you could be dealing with the repair shop, too. Don’t let the damage to your trees be another thing stressing you out! Instead call Viking Tree Service for fast, reliable storm cleanup services! Water that has been trapped for days can develop parasites and all sorts of disgusting organisms. If you don’t know how to handle them properly and dispose of the water safely, it could make you very sick! Even being careful, you could still run your hand across a piece of unseen glass or get poked by a broken piece of wood. Injuries like these can range from minor to major, yet all are avoidable by letting a professional team handle your storm cleanup. Do you know how to spot faulty or broken electrical lines? It may seem like an easy thing to do, but being the least bit unsure could be deadly. Therefore, only the power company and other trained professionals should handle the aftermath of a storm and its subsequent cleanup. Again, many people don’t think about the animals that become disturbed and displaced after a storm that knocks over trees which are their habitat. Squirrels, snakes, birds, and a host of other animals that may normally avoid humans may react differently when their home has just been destroyed. 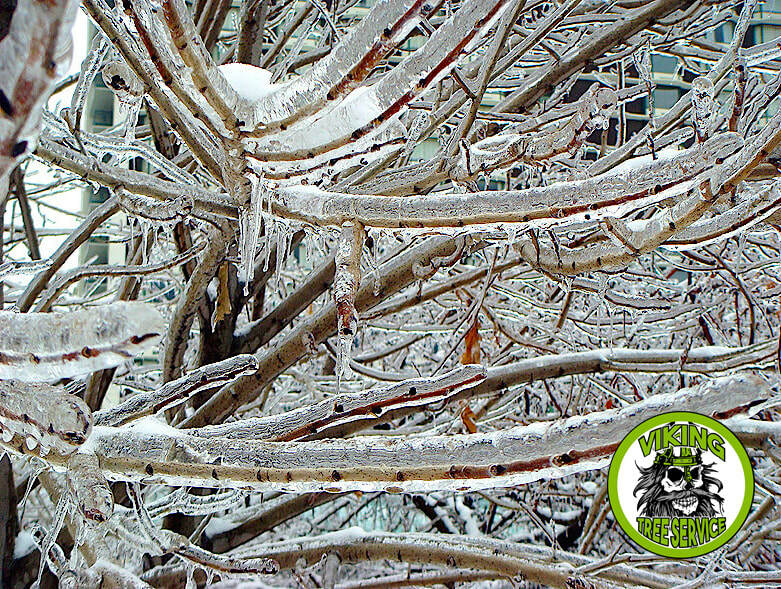 Don’t wait to call Viking Tree Service for storm cleanup. The effects of letting water stand on your property or letting a tree rot for months before calling us could be irreversible. If the trees that were damaged during the storm have fallen on your home, cars, or other structures, we’ll work extra hard to get those trees removed so that you can move on to getting the necessary repairs completed. If you’d like to keep the wood from these trees, we can cut it up into firewood for you, but if not, we can haul the limbs away. Viking Tree Service is here for YOU, the good people of Oshkosh, WI and beyond. We want to help any way we can in your time of crisis, and our storm cleanup service is the best way we’ve found so far to serve our friends and neighbors when a big storm has threatened their home or business. We’re fast – When you want that storm debris removed as quickly as possible, call US! Viking Tree Service knows how important it is to you to get everything back to normal after you experience severe storm damage. The first step is removing all the debris from your yard so that repairs can begin. No one works faster than Viking Tree Service! We’re safe – Viking Tree Service will minimize any further damage to your home and other valuable property, even as we remove limbs or even whole trees from your roof, garage, fences, or vehicles. We take every precaution to protect you and your family while we do storm cleanup so that you don’t have any more things to worry about during this stressful time.